A few years back you couldn’t turn a corner without Vampires being there – not literally of course, because Vampires aren’t real… Or are they? I’m of course talking about in popular culture. They were the ‘in thing’, but that faze kind of went away when Twilight and True Blood was all done and dusted. Now there is a new blood sucking beast emerging from the shadows – although probably just staying on the edge of said shadows being a Vampire and all – they don’t mix well with sunlight do they! That beast is Vampyr from DONTNOD. We’re in London, its 1918, everything is smoggy and you are newly-turned Vampyr Dr. Jonathan Reid. As a doctor, you were quite the celebrity and at the forefront of blood transfusions – handy! Now you must find a cure to save the city’s flu-ravaged citizens. As a Vampyr, you are cursed to feed on those you vowed to heal. Will you embrace the monster within and feed upon those innocent people to become more powerful? Survive and fight against Vampyr hunters, undead skals, and other supernatural creatures. Use your unholy powers to manipulate and delve into the lives of those around you, to decide who will be your next victim. Struggle to live with your decisions… your actions will save or doom London. Vampyr is an action RPG where you play the aforementioned Dr Reid. You’re story starts as you wake up confused and not knowing who you are in what is basically a pit of death – dead bodies are all around you, it’s clearly some kind of mass grave where flu victims have been taken and disposed of. You have no recollection of how you ended up here, but it seems like you aren’t the person you once were, that’s right, you’re a vampire now! Dun, dun, duuunnn. But who did his to you? That is the main question and what drives Dr Reid forward, he must search for answers whilst also helping the needy of London. Thankfully you have some help, Dr Swansea hires you to work at a hospital – he’s aware of your affliction and offers you the night shift in order to help explain your absences during the day time. 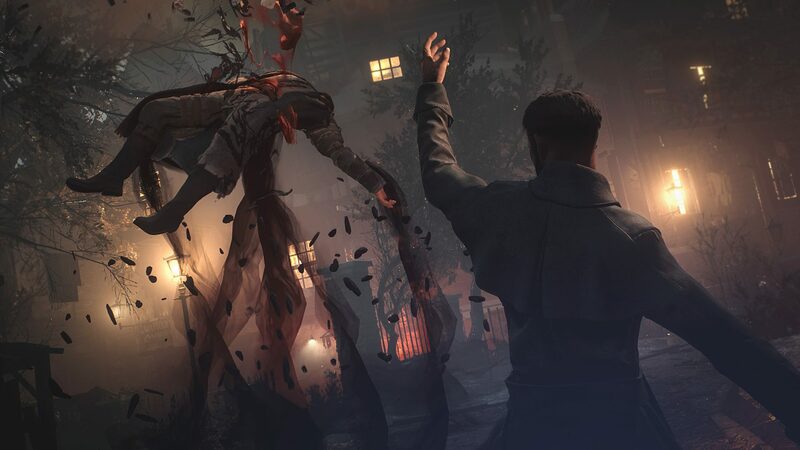 Now, there is a fair bit of combat in Vampyr, and it’s a little clunky, I found it frustrating and felt like it contributed to a few deaths whilst playing with the camera seemingly unable to keep up with the movement at times, so when I would dodge I would often dodge in the wrong direction or in to an obstacle. You get to use various melee weapons and off hand weapons like pistols and shotguns. The more you progress through the game, the more abilities you will gain access to via your skill trees in order to help you during combat to defeat vampire hunters and the hellish creates called Skal. 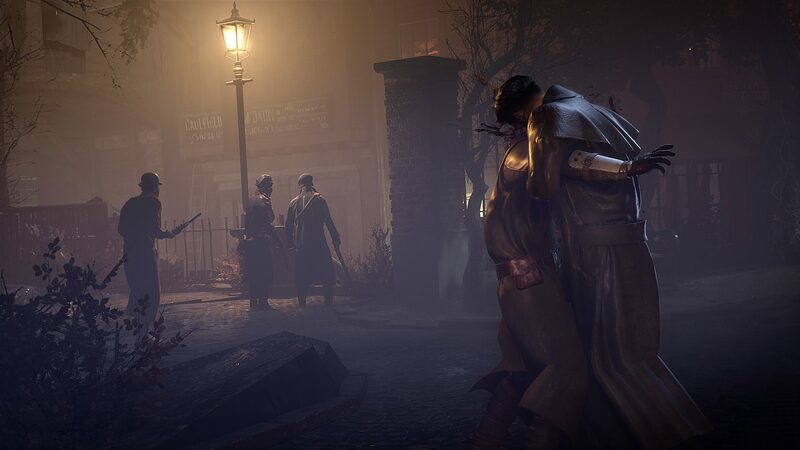 I think it’s ok that the combat isn’t the best because personally I think Vampyr shines in the ‘hunt’. I don’t mean that to be that you hunt people down, but over time you will get to know the people around you, you will get to investigate them at times, understand them as a person and the more you get to know people the more XP you gain from sucking their blood, and the more dialogue options you will open up. You’re effectively hunting and scouting them in plain sight and they don’t know a thing, it’s quite fascinatingly gruesome when you think about it. You’re getting to know them better to see whether they’re worth drinking, how wonderfully macabre! In terms of the visuals and settings everything is ok, nothing groundbreaking. The atsmophere is decent, the character models for the most part look good with a few oddities here and there. It’s not going to blow you away but it’s also immersive enough to keep you engaged. The game is split across four districts of London each filled with its own characters for you to meet and converse with, these people you meet might offer you side quests to do and should you take them on you’ll likely get to know them more. And as I said the more you get to know them the better their blood smells (the more XP you get). It’s this mechanic that really sets the game apart from others. Yes, you can still get XP through normal means like killing etc.. But if you really want to become an all-powerful vampire, you’re going to want to find the juiciest of humans to feed upon and that means building a relationship with them. But simply killing them can have its own drawbacks, you might lose out on side quests and should that person be notable it could have a negative impact on the community around. The idea is to keep each of the districts in a healthy and safe state, but if you go around drinking everyone’s blood, well that’s going to make things a little harder. 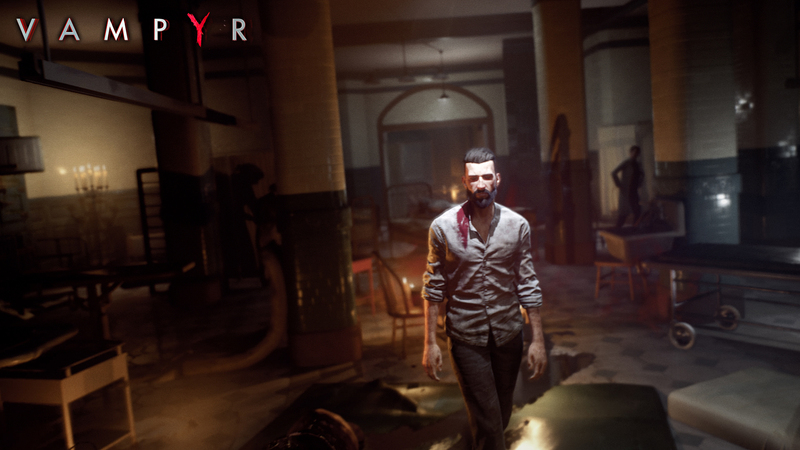 Vampyr is at its best when you’re diving in to the stories of the residents of London. Speaking to nurses, drunks, and any other strangers you might encounter, learning about them. The people you meet are genuinely pretty interesting and you will most likely find yourself wanting to know more about them rather than following the main story. Without those interesting people to meet you’re looking at a fairly middle of the road RPG, sticking to many tried and tested formulas and doing them ok. For £45 it’s pretty steep in price too. But if you’re a completionist you’re looking at over 30 hours of gameplay, which isn’t bad. But if you want to rush through the main story you can almost half that time. Which just goes to show how much the side quests and the people in the game add to it. Vampyr is out now on PC, Xbox One and PS4. I enjoyed it, but personally I think for £45 is a bit steep, but if you can find it for cheaper then I think it would be money well spent. It’s not the most polished game, but it’s still pretty engaging and fun.